At the same time, let me tell you what my other intention is. I have a booking engine, “BOOK YOUR TRAVEL ONLINE!” at RadiantView.com, a value-added feature that benefits the Filipino American community. Yes, I would appreciate it very much if my friends — and their friends — could check out the booking engine for its infinite possibilities and find out for themselves if the “cheap, cheaper, cheapest plane tickets” to the Philippines and the rest of Asia do exist in cyberspace. Whatever you’ve heard about internet airfares is true. You just have to book your airline tickets online for the savings to kick in. 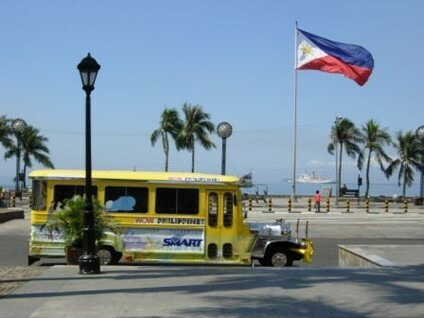 So, buckle up and travel with Carol to the Philippines. You’re in for a magnificent adventure with her family and friends! I’m back! Actually, I’ve been here for close to a month now and I’m having a terrible Philippine withdrawal….! Sorry I didn’t get to communicate with anyone while I was gone. I thought I was going to be back on February 11. However, family matters made me stay longer in Manila. Hence, I arrived on February 27 instead. Not that I mind, I tell you my friends, I didn’t want to come back to America! To me, Manila is still home! I had so much fun being back there — ooh so many happenings that it made the US so pale and boring. I had to extend my stay five times! My three kids (well, not kids since they are all adults now, yet we always call them “KIDS”) chipped in to buy me an airline ticket to Manila because they were all going home (so sweet of them). 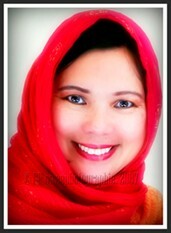 Charisse, my eldest daughter, wants to move back to Manila to permanently reside there. They decided that they didn’t want me to be all alone and by myself, so off to Manila I went. The boys, RC and Roman, enjoyed themselves so much there and decided to stay behind and came back on March 5. The boys even started their own internet marketing business of some sort. They told me that it’s a secretâ€¦ If it weren’t for the fact that their grandma or “lola” kept their airline tickets while she was up in Baguio and they couldn’t open her drawers for them to have the information to extend their stay for the sixth time, they would have stayed another two weeks! Would you believe! Gosh, I never even see them and they’re always out with their cousins (from both the Lims and the Aquinos)! I really wasn’t ready to go back to Manila this time around since I was just there last November-December 2006 for five weeks visiting China (Shanghai, Wuxi, Hangzhou, Suzhou, and Nanking). Afterwards, I visited Cotabato, Maguindanao, Shariff Kabunsuan, General Santos, Sarrangani, Leyte, Zamboanga, Jolo, and Basilan to help “Books for the Barrios” establish libraries in public schools. It was such an amazing experience, seeing first-hand one of the most fulfilling and gratifying volunteer work I’ve ever done. Imagine empowering mostly elementary children from all over the Philippines — in the most remote barrios. Giving children the opportunity to read library books every day, to write in their journals, speak in English, and think globally. How empowering is that!!! Helping Filipino children in the barrios rise from poverty one page at a time. It also enhances the peace process in some of the most war-torn, devastated areas. We went to the remotest barrios, yet, I tell you my friends, the Philippines is so beautiful, our people so hospitable, and the children so endearing. No, they don’t have a “victim mentality.” They happily take in their fate and make the most of any situation. They are sooo resourceful. Nancy and Dan Harrington (a very Pinoy-loving American couple) have done a splendid job in consistently sending a container full of quality books to our beloved people. Such angels! They accept donations of books, school supplies and of course, precious $$$ at BooksForTheBarrios.com. Every dollar helps many impoverished school children! I was also part of the San Francisco-Manila Sister City delegation bringing around Mayor Gavin Newsom for a week all around Manila. Boy, was he a big hit there! We had shrieking women and adoring fans everywhere! I saw and witnessed so much that the e-mail I was writing for my friends here in America wasn’t even finished yet! Just the food and the culture I absorbed (especially in the Muslim area) are almost indescribable. If you think this e-mail is long, my previous one was even longer… So I was pretty exhausted and feeling guilty that I haven’t worked, cleaned the house, nor did any of my American chores (you know — like laundry, yard work, sorting out old stuff, dry cleaners, paying of bills, and paying of more bills again)! Ay naku, I miss the maids, those lovely “Indays!” Even the “pogi” (handsome and well-mannered) drivers! However, once I was there, I was so elated…. We went to Baguio (stayed in our penthouse in Green Valley with a fabulous view all the way to Loakan airport) for a wedding & attended a wonderful Canao of two marrying tribes (Ibaloi and Kankaney). This is a traditional Cordillera experience where the natives kill animals (pigs, cows, chickens, and dogs) to offer to their gods and ancestors and to call all natural spirits (of the forest, trees) for auspiciousness. They killed 14 pigs and two cows. Of course, they killed four pigs and a cow in front of the crowd as part of their ritual. So many people from all over the mountains came to witness and give their good wishes to Rocky Cating and Maricel Buangan, the married couple. I’ve never seen a cow being killed. It was gruesome (they bonked him on the head with an ax and the poor thing died silently). Killing a pig is a different story. Boy, do they squeal so loudly that you will definitely know that death is impending. Roman, my son, was so traumatized. Then, the traditional sharing of the kill was abundant. Native dance, singing, and just hanging out in the open air in Benguet were divine. There was also the traditional BADEW (chanting and story-telling). We ate all sorts of pork dishes of the Cordilleras (bagnet, igado, pinakbet , keni-ing, and babadi ). I was so “porked out” that I couldn’t eat pork for weeks! It is a tradition for every family to bring a container and take home the dishes made from the dead animals for sharing with their family and neighbors (and also to spread more of the good luck for the marrying couple). We then proceeded to Banaue and Sagada (now I understand why it’s called “the eighth wonder of the world!”) and the words “awe” or “awesome” were all I could say. I was speechless — and I thought that GOD was so great, wise, and powerful. Imagine 2,000 years ago, our ancestors carved the mountainside so they could plant their food and found an ingenious way to irrigate their land! No, it wasn’t just a part of the mountain or a mountain. It was mountains and mountains — almost all of the Cordillera mountain range (100 square miles of terraces!). Every tribe or ethno-linguistic group had its own way of building their terrace. 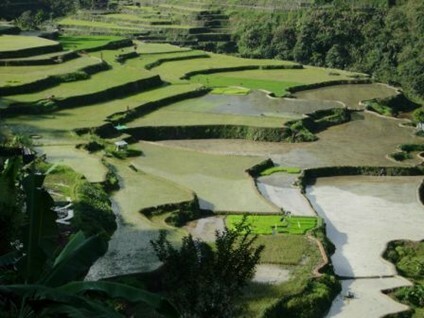 Actually, it’s not just “rice” terraces. They also planted “kamote” (sweet potatoes),”gulay” (vegetables), and whatever. I left with mixed feelings: amazement and respect together with personal insignificance or powerlessness. Sagada, on the other hand, was a different story. I know it’s a quaint and spiritual place. However, when we arrived, it was the annual town fiesta! Lots of vendors and people. My gosh, the best carrot cake is there! Hanging coffins in the mountainside, the caves, the serenity… I entered caves with ancient fossils and rock formations. A dangerous trek where, at times, we had to rope-climb to get to the other end or enter waist-deep water. It was such an adventure. Luckily, I had a guide who carried a gas lamp. Later, we hung out in this sedate, slow-paced town (almost bohemian and “hippie”-like), drank some mountain tea (minty and spicy), and ate wonderful carrot cake and bread with strips of guava jam. 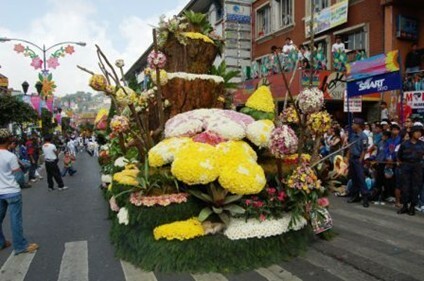 We did go back to Baguio a few weeks later and witnessed the “Panagbenga” — the Flower Festival. It showcased Baguio’s flowers on wonderful floats sponsored by big corporations and organizations (and for this year, Senatorial and Congressional candidates), native Cordillera dances (Ifugao, Gaddangs, Isnegs, Baygo, Ibalois, and Kankaneys — all groups generically called “Igorots”) and wonderful bands of bugle, drums and acoustics. It beats the Rose parade! It was held at Session Road from SM (the former Pines Hotel) down to the market, rounding off to Burnham Park. For those of you who are familiar with Baguio’s Session road and Legarda, man, it’s now a different place — the traffic, the pollution, lots and lots of people especially in SM Mall (where the heck did all those people come from?). I personally don’t like SM which is right smack in the middle of downtown. Gone were those days of tranquility and smell of the pines…. 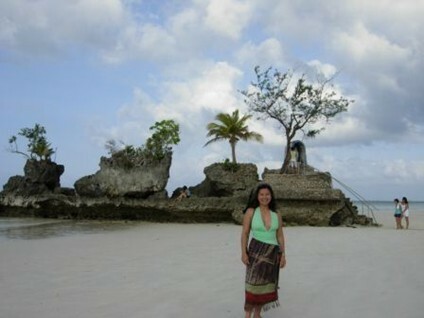 The other place I went back to was Boracay. Goodness, what a different party place from before. I just love it! The sand — as soft as flour, all sorts of different cuisines, the diverse people, and the best sunset in the world! I wondered why the sand never gets hot — even in the noontime heat! They said it’s because of the zinc or silica content. Of course, I’m not really sure. 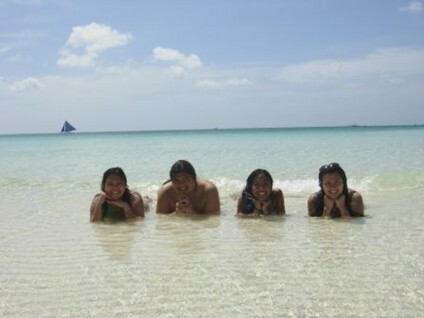 If you want a party place, to see and to be seen, go to Boracay. My kids didn’t want to leave and would probably live there if they had the means. I love this place! However, if you want a quiet beach, go to Serrangani or Busuanga, not Boracay…. it’s now so international. We also had a grand reunion at our farmhouse/resort in Balete, Batangas. The Lims and the Aquinos (relatives of my deceased husband, Renato) and many of our friends. Ang “saya!” Siyempre, we served lechon and the delicacies of Taal: “tawilis and pinindot.” I thought the sunset there was beautiful, too. 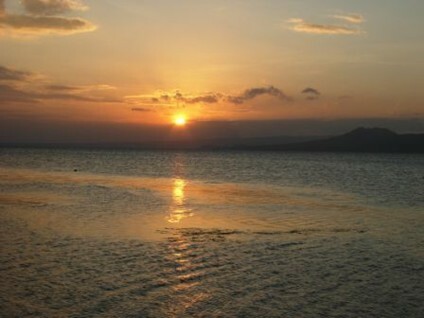 (I think the Philippine sunsets are the best in the world). Our house sits right beside Taal Lake and has an incredible view of the back of Taal Volcano, the smallest volcano in the world. I also took a tour on a “jeepney” in Manila (well, actually, it was a coaster transformed into an air-conditioned jeepney). We toured Manila, Makati (the financial district), and Intramuros (the walled city), and then ended up in the Mall of Asia (the biggest in Asia that one day is not enough to go from one end to the other). However, if you want a real tour, join one of the garrulous Carlos Celdran’s walking tours. Now, his tours are known to combine history with dramatical theatrics. He is utterly mellow dramatic, yet engaging, so juicy, insightful and compelling. By the way, if you want to know more about the Philippines and visit, Charisse, my daughter (who is an anthropologist), can also help you. She now lives in the Philippines and opened her own tour company with a twist. Mostly adventure and really interesting tours. She also loves to show the indegenous groups (which is both our passion). She just got hired by the Asia Travel Channel. (She still doesn’t want people to know this until she starts with them next week). She will go to destinations in Asia (mostly the Philippines), write scripts and probably narrate. Which means my daughter will be on the Travel Channel! If everyone who comes to the Philippines just visits one new Island or destination, it will take you a lifetime to finish all our 7,107 islands! 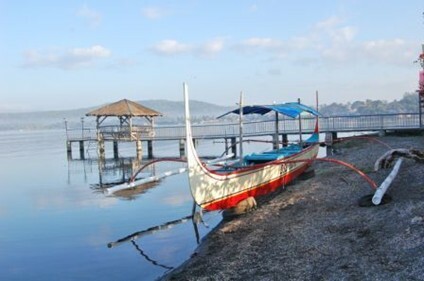 If any of you are in the Philippines and I’m there, you are invited to come with me either to Baguio or Batangas. If I just have the means, my dream is to live in the Philippines from mid-October to mid-March when it’s so cold here in Walnut Creek, California — and then come back to America when it gets offensively hot and humid in Manila (around Holy Week in April). Aside from the eating and meeting of friends (My high school Assumption classmates, UP college friends, my Bible Study friends, Esla office friends, and Esla Stockholders) it was pure family bonding! My Dad is undergoing dialysis and it’s been difficult for our family but this situation has surely made us closer. He goes to the hospital for dialysis treatment three times a week for four hours a day! He feels exhausted and nauseated. For you guys who know my dad’s energy and zest for life (he loves to eat, travel, work hard, and play hard), it’s been a difficult journey for him. We try to spend as much time with him. We were also reunited with Reissa, the kids’ half sister (the daughter of Renato with Marissa Iletto). I’m glad I have my family and friends back home because it’s not been very easy in my domestic home front. I’ve attached some photos so you can imagine what I’m talking about. I had to make the pictures smaller so I can send them to you. So, the quality is not so good. Needless to say, I have 3,000 photos and choosing what to attach in this e-mail took even longer than writing this e-mail! Do call me and connect with me again. I’m truly looking forward to talking or seeing all of you. I need to get back in the loop! !